This Friday is the third concert in my series which includes the complete Beethoven Violin Sonatas. On this occasion I will be joined by Derbyshire-based pianist Beate Toyka and our programme includes the 6th and 7th sonatas (Op. 30 numbers 1 and 2). We have chosen also to perform a work by Beethoven’s student and friend Ferdinand Ries, his Grande Sonata in F minor. 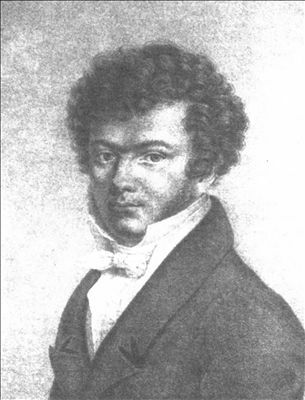 Ferdinand Ries (1784-1838) was born in Bonn and was the son of the violinist Franz Ries. His father (who had also been Beethoven’s teacher) taught him piano and violin and he studied cello with Romberg. In October 1801 he travelled to Vienna where he lived and studied piano with Beethoven, acting for many years as his secretary and copyist. He made his debut as a solo pianist there and several years later went on a number of concert tours around Germany, Scandinavia and Russia. In 1813 he moved to London where he lived for 11 years. He became a member and then director of the London Philharmonic Society and, on its behalf, he commissioned Beethoven’s ninth symphony. He spent the final years of his life in the Rhineland where he co-wrote one of the first biographies of Beethoven. As a composer Ries was prolific, but nowadays his music is not especially well-known. His output included sonatas for piano, violin, cello, flute and horn and the Grande Sonata in F minor dates from 1810. Despite their friendship Beethoven was critical of Ries’ compositions complaining that ‘he imitates me too much’. Tickets are still available for the concert, which begins at 7.30pm in St Andrew’s Church, Psalter Lane, Sheffield – £12/£8 concessions.